Gorgeous designs from Linens Direct. I'm always wanting to update various parts of our home, pinning away all my ideas on Pinterest. But, lets face it, all those ideas and dreams soon mount up and my bank account soon brings me back to reality! However, there are some really inexpensive ways that you can spruce up rooms in your home. One room, which is actually very easy to update, is the bedroom. There are so many things you can do, from adding throws, cushions, art and photos but one main area I want to focus on today is bedding. To me, whenever I enter a bedroom my eyes go directly to the bed. Its the main piece of furniture, largest too, so make sure you make it a feature. 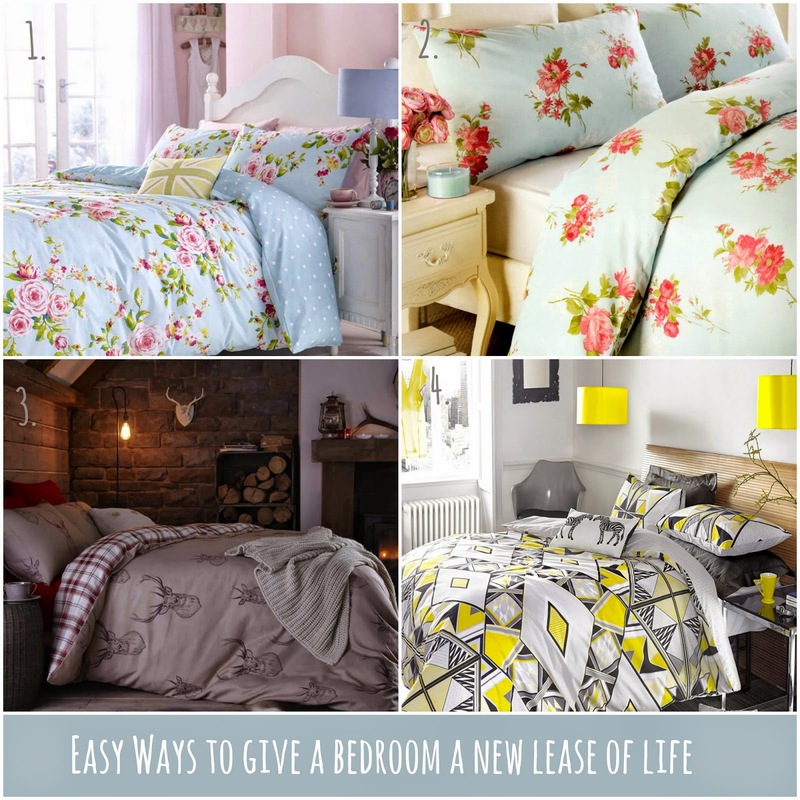 You can switch up bedding so easily (without breaking the bank), and it can change the whole feel to the room - even switching it up to fit the seasons! Who can't resist that new bedding feeling, snuggling down into crisp cool bedding, bringing ultimate relaxation -you always get the best nights sleep! This is one of the most affordable ways to update a bedroom, there are so many deals to be had too. For example, Linens Direct are currently offering 20% off and free delivery on orders over £45.00. The above pictures are some of my favourites at the moment, particularly the Stag print - perfect for Autumn/Winter. Match with a knitted throw, hot chocolate, a good book and your good to go! The other prints I have selected are gorgeous and bold, so if you have a relatively plain colour scheme they would suite most rooms, bringing them to life and adding a splash of colour. Are you looking to update any rooms in your home? Next on our list is the Bathroom!